It’s that time again! Twilight Zone marathon on SyFy! Actually, I’m ringing in the New Year in an odd bout of crippling migraines that has lasted a week, so I’m keeping this short. This snowman’s face kind of looks like mine right now. 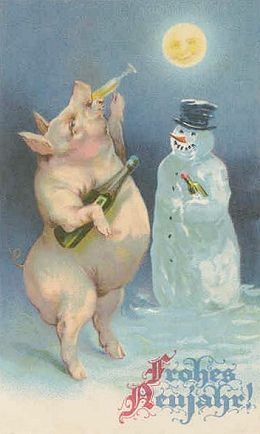 But may you be happier than a pig drinking champagne this evening! 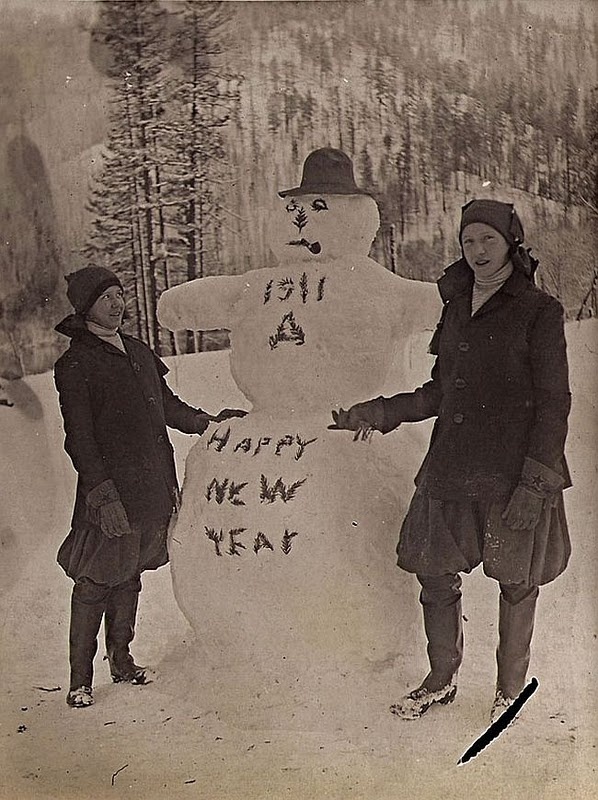 This entry was posted on December 31, 2014 at 10:08 pm and is filed under ephemera, photography, vintage with tags ephemera, photography, vintage. You can follow any responses to this entry through the RSS 2.0 feed. You can leave a response, or trackback from your own site. Oh, I do hope your feeling better now. I brought in the New Year with a miserable cold. Does this mean that 2015 can only get better? I sure hope so! Happy New Year, R! Wishing you the best!